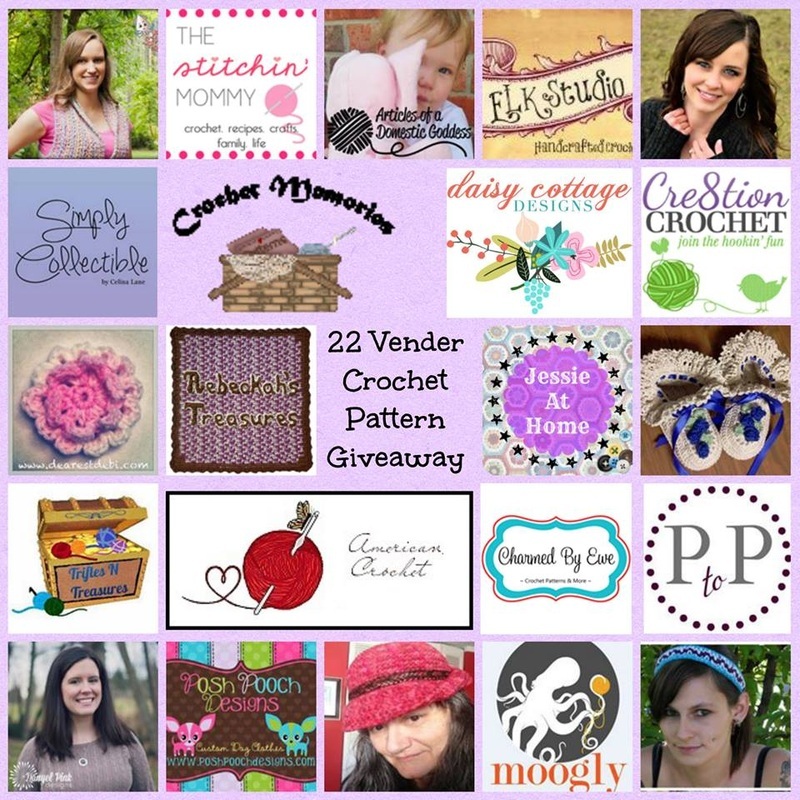 Trifles N Treasures has joined 21 other pattern designers to bring you a HUGE pattern giveaway that will result in 25 PATTERN WINNERS! Most designers are offering a free pattern – winner’s choice, some are offering a specific pattern, and one designer is even giving away 3 patterns! 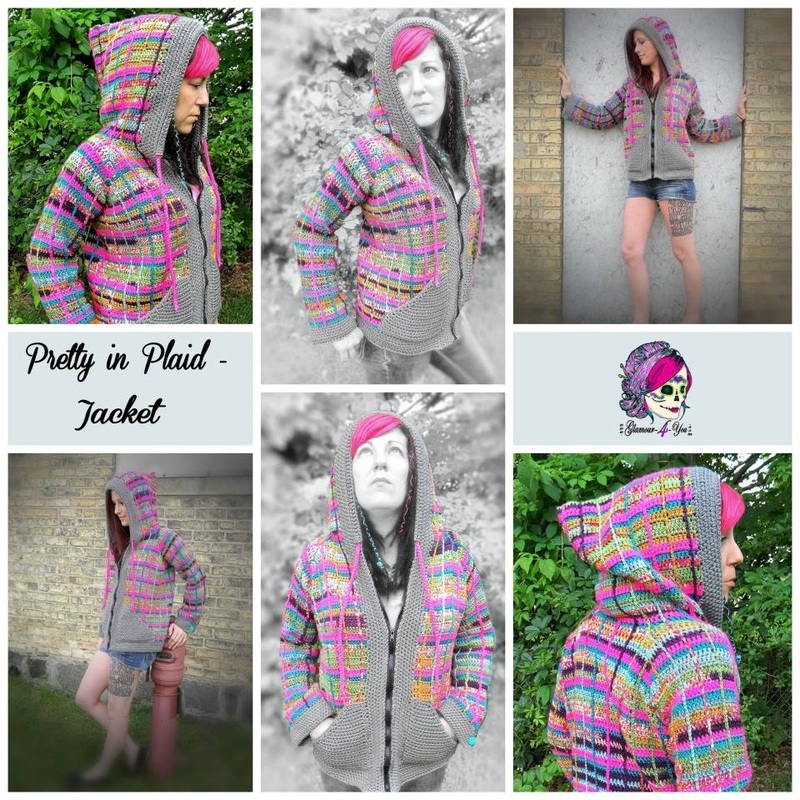 I am SO honored to be able to give away a copy of Glamour 4 You's brand new Pretty in Plaid Jacket pattern! Look how GORGEOUS this jacket is! Miss Ann has done an amazing job on this design, and she is allowing a select few of us help her celebrate! Please join us, and enter to win your very own copy on the rafflecopter widget below! Trifles N Treasures 5th Birthday BASH! Can you believe it?! Trifles N Treasures has been in business for FIVE years! We are celebrating in style, ALL WEEK LONG, with games, giveaways, sales, and new pattern releases! Please join us in celebrating such a wonderful milestone, and THANK YOU to each and every one of you, because without YOU, we would not be where we are today! Read on to find our amazing prizes, and the rafflecopter entry form, to enter to win! Includes our GRAND PRIZE~a prize package from Red Heart Yarns! Baby's First Buddies Pattern Giveaway! Enter on the rafflecopter widget below, for your chance at a free copy of this super cute new design! Endless hours of fun with this playset! Endless possibilities for variations, as well! Instructions include 2 dolls (boy and girl), 4 hairstyles, 3 dress styles, wings, tire swing, flowers, mushrooms (or toadstools) patch of grass, as well as the fun treehouse bag to store everything inside! Another perfect playset for on-the-go fun! With just a simple color change, you can make this bag tasteful and elegant, or fun and trendy! Stylish and fashionable, with an adjustable length handle strap, for a clutch, shoulder bag, or cross body bag! Inner liner also features pockets, and a drawstring closure at the top. Makes a great Mother's Day gift, too! We are finally releasing the full pattern for the Rockin' Wristers~as originally seen in the Battle of the Stitches! Three sizes included to make these for just about anyone...they are SO comfy, you'll want a pair for yourself, too! Enter on the rafflecopter widget below, for your chance at a free cop of this awesome pattern! Forget Me Knot Set~Pattern Giveaway! Another new pattern release means another chance at a free copy! This is the Forget Me Knot Set~A sweet little dress and matching bonnet combination for 0-3 mos. We are having a giveaway for an amazing new design! 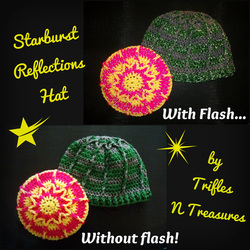 The Starburst Reflections Hat pattern is designed to be used with any #4 Worsted weight yarn, AND any #5 Bulky weight yarn, but is specifically made with Red Heart's new Reflective yarn (#5 Bulky), and Red Heart Super Saver yarn (#4 Worsted). Want a FREE copy of this pattern? Just enter on the Rafflecopter widget below, for your chance! Winners will be drawn at the close of the giveaway, and posted here!